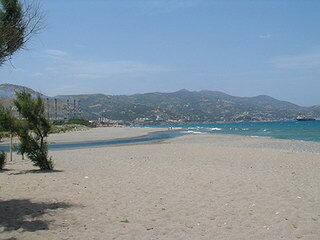 Linoperamata is a long beach of Iraklion area and lies 6 km west of the city of Iraklion. There is a continuous trasportation service with public buses. Linoperamata provides all the amenities of a modern city, due to its proximity to Iraklion.